3NovicesEurope | The First Online Media Updater: We try to Share Media I.e Technology, News, Sports, Entertainment,Development and etc. 3NovicesEurope – The First Online Media Updater: We try to Share Media I.e Technology, News, Sports, Entertainment,Development and etc. 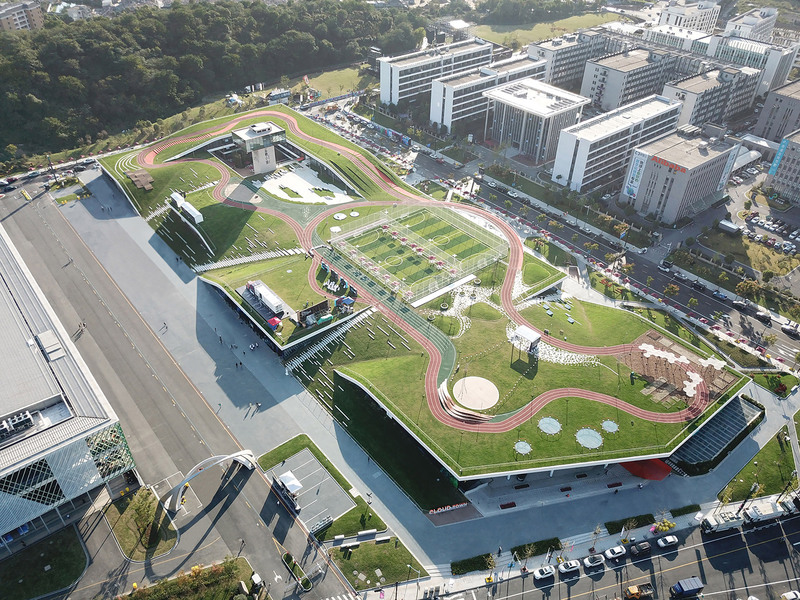 Chinese architects Approach Design has added a new hall to the Hangzhou Cloud Town Exhibition Centre in China and concealed it under a green roof featuring a running track and sports courts. 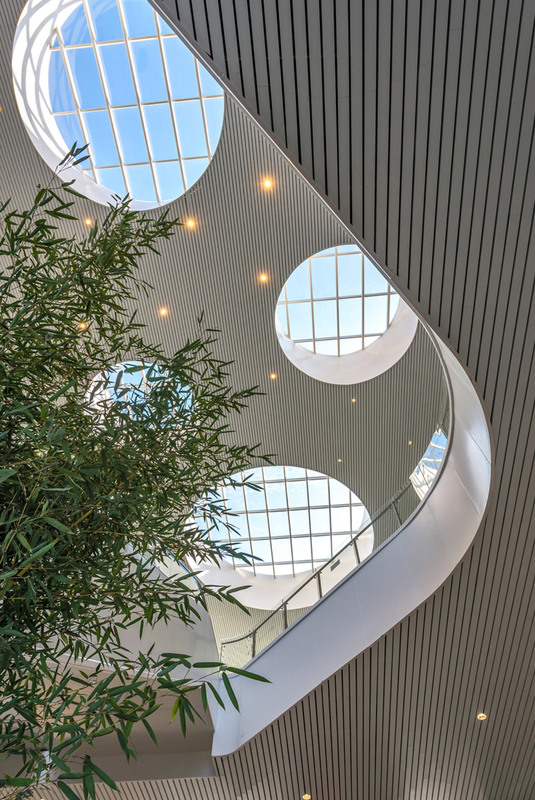 After originally designing a large latticed structure for the first stage of the convention centre in 2015, demands for more space led to the architects developing a second, adjacent building. Beijing practice Approach Design decided to take a different approach for the new hall, rather than simply build an extension to the original convention centre. “Just when everyone expected an even larger, iconic building, we designed it as a park,” said the studio. The new nine-metre-high exhibition hall is sunk three metres underground, minimising its profile in the landscape. To enter the hall, visitors move down steps located under the park. This downwards-facing entrance was a deliberate move away from the “ceremonial steps” upwards that the architects felt were often used for convention centres. 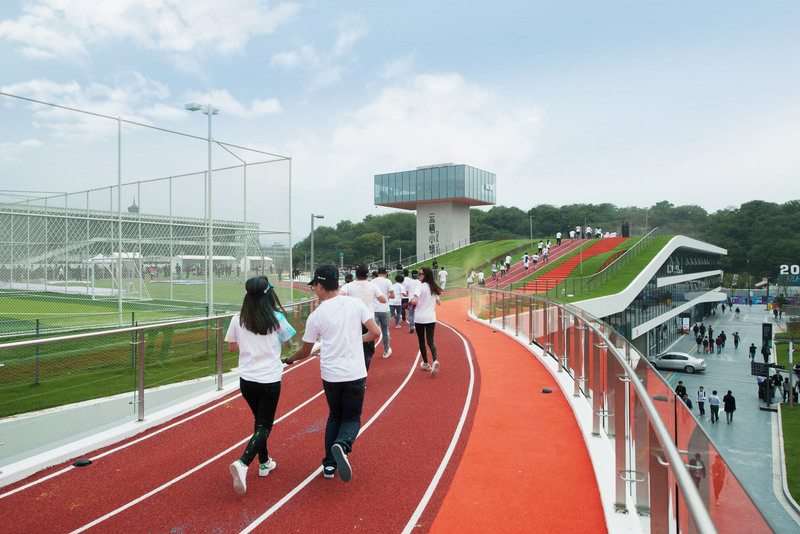 “We first decided to reduce the building’s huge size, compressing this 66,000 square metre megastructure to just 6.6 metres above ground,” added Approach Design. 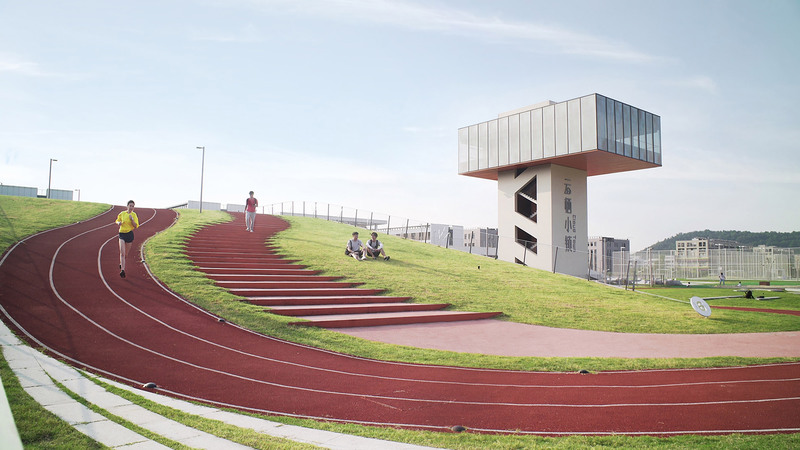 “All around the building sit a multitude of gentle grassy slopes – the whole roof appears an extension of the horizon and openly welcomes people to walk on it,” added the studio. 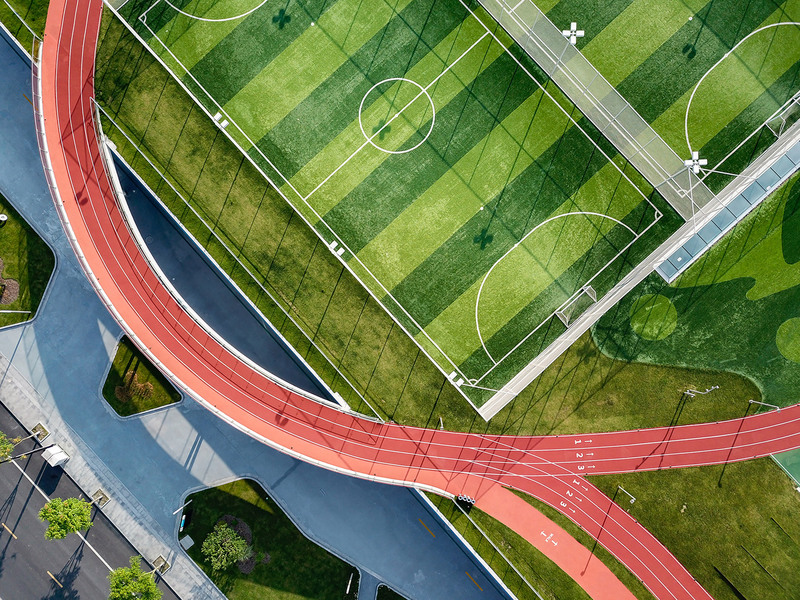 A similar concept was recently used by Shanghai practice Open Architecture at TANK Shanghai, where a rolling green landscape conceals gallery spaces below, while Google plans to put an outdoor running track on the roof of its London headquarters. 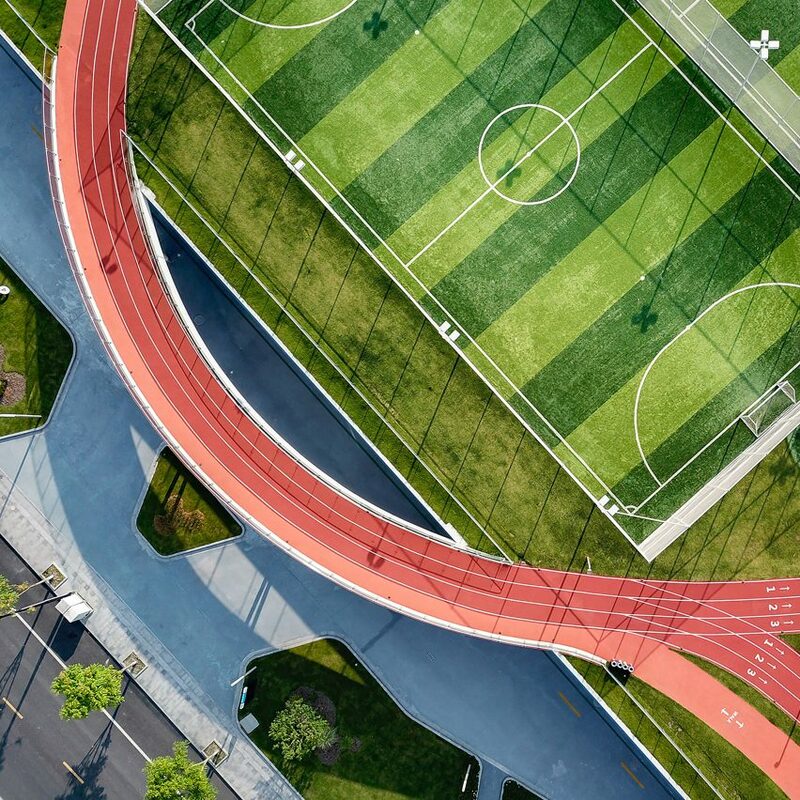 The park at the Hangzhou Cloud Town Exhibition Centre provides various facilities such as a football field, watchtower, sand pit, studio theatre and community vegetable garden, connected by a 760-metre running track, which protrudes slightly on an elevated walkway. 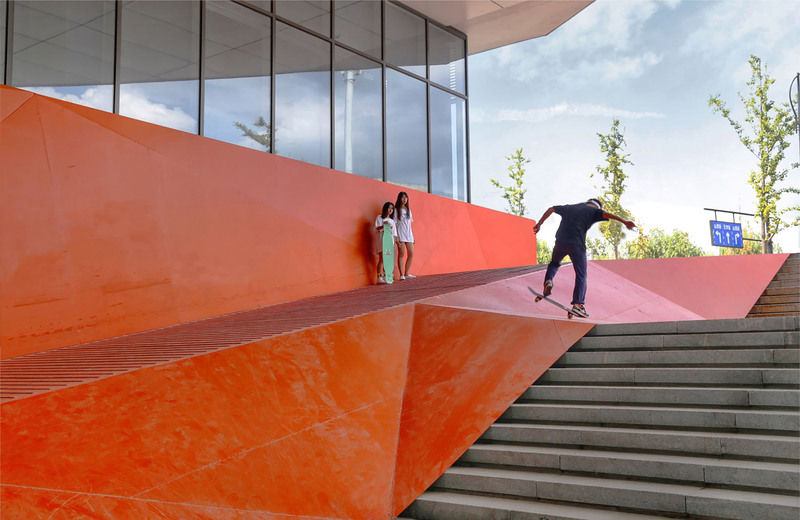 At one end, a freight ramp leading down to the centre has been used to create a faceted slope designed to encourage skateboarding. While driven by a need for additional conference space, Approach Architects also wanted to provide a space that could offer more to the nearby community. 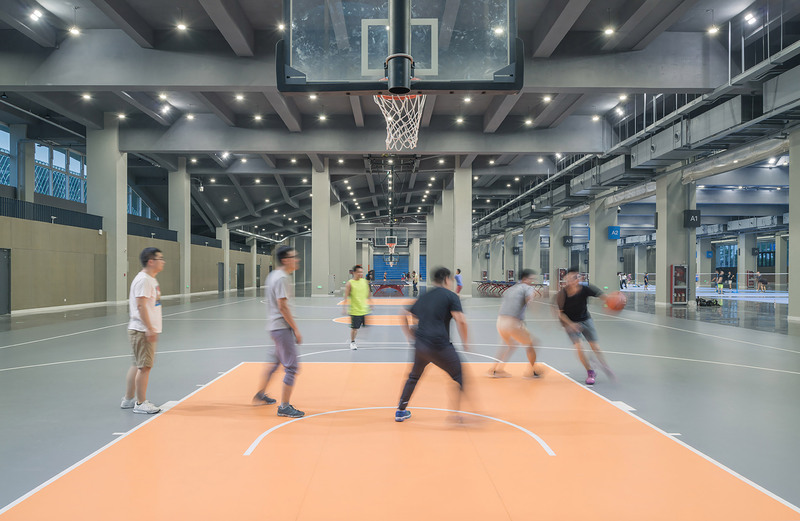 When not in use, the vast exhibition space can be converted into a “sports warehouse” for basketball, badminton and tennis. Photography is by Lianping Mao. 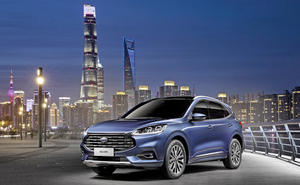 Desperate to reverse last year’s 37 percent tumble in China sales, Ford is belatedly following rivals in doing things differently. 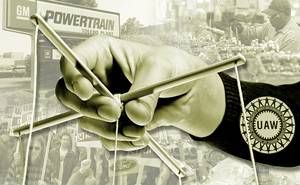 Can the UAW get deals with the Detroit 3 — and persuade its restless membership to approve them — without a strike? Toyota is benchmarking its U.S. success story in an effort to repeat the winning formula in China. The goal: China surpasses the U.S. as Toyota’s volume leader.